Why people prefer taxi booking service and what they expect from the cab business owners? Nowadays technologies are moving faster along with time. so people are ready to spend money to fulfill their comfort with cheap and best policy. Cab booking business occupies a remarkable place in the minds of people. Therefore taxi booking service has become very common among the people to make the transportation very convenient. What secret holds behind every successful taxi booking companies like Blue Cab? The primary factor that influences in the triumph of every taxi booking service company is a Cab booking Software. while choosing a cab booking app for your business it is ideal to watch a cab software demo. Blue Cab is a renowned cab service providers in Chicago region, established during 1923. Blue Cab is located in Forest Park, IL and it is the oldest cab companies in the Chicago metro area. Due to the long-term experience in Cab services, the blue cab is widely preferred by large and small companies all over the world. Blue Cab always follow a unique path in improving its cab service through adopting state-of-the-art-technology. Blue Cab installed two-way radios in all its cabs during 1950′s to improve the dispatch speed. In 1963, Blue Cab installed a second two-way radio in every cab to help the dispatcher know if the driver’s meter was on. This greatly helps the dispatcher to find and schedule the next available taxi thereby increasing the dispatching speed. Today Blue Cab uses the most advanced dispatching system on the market. The use of GPS (Global Positioning System), automated call ordering and Mobile Data Terminals has resulted in one of the fastest response times by any cab company. 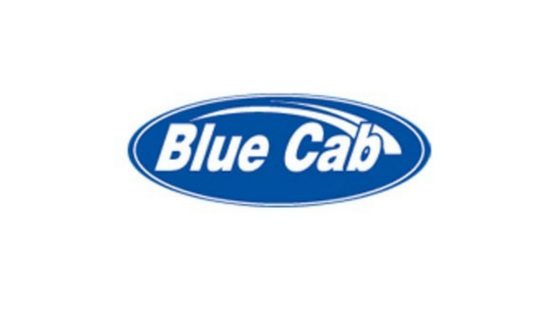 Blue cab company provides a worthy service known as Blue card. This technology helps the public in more than several ways. A prepaid Blue Card allows you to add money from any computer, tablet or smartphone with high-end security features, ie, by allowing you to cut cash out of the equation. This feature helps the public in a great way to travel anywhere anytime without bothering about currency in the wallet. Blue card provides its functions without any annual fees or interest, it’s a better value than charging your rides to a credit card, and is more secure than a pocketful of money. Easily replaced if stolen or lost, Blue Card is the way to go. The notable advantages are there for taxi business, taxi drivers, and passengers through cab booking apps. Drivers need not drive around for searching passengers. Cab booking app provides an option for online payment. so the drivers can avoid the risk of carrying a huge amount of money. Passengers need not go outside for searching taxi. Using taxi booking service app the taxi will reach the spot where passenger stands. Passengers can track the cab and can know the approximate arrival time. Cashless ways of payment help the passengers even if they don’t carry enough cash change with them. Passengers can rate the service from drivers which makes the system more transparent and trustworthy. Taxi booking apps will help the cab business to grow faster by drawing in more passengers. The cab business owner can keep an eye on each car with GPS tracking system. The main reason for the success of Blue Cab is the use of right cab booking software.